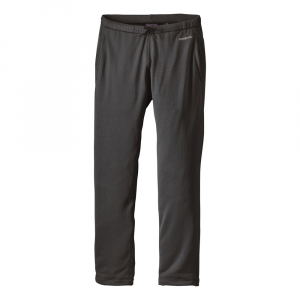 Simple, full length thermals made in the USA of Polartec Power Stretch 4 way stretch fleece. This is a great mid to heavyweight baselayer, but it wicks moisture very well. Hardface outer surface makes it a cinch to layer over. 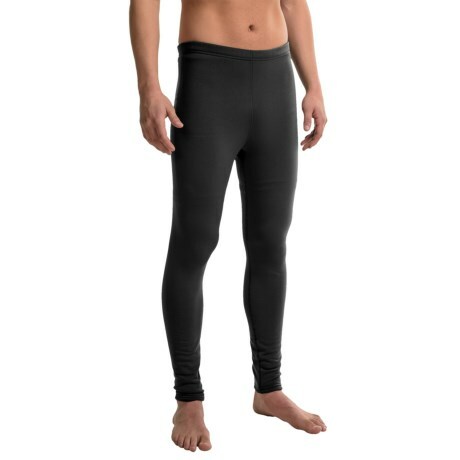 I tried these for a morning run here as running tights (no fly on them-a plus for versatility without looking like you're in your pj's) in am weather of 38 degrees, and it is a WARM layer. Moisture moves through this well. Powerstretch is amazing in its material quality and it's stretch and wicking performance. I cannot attest to its wind resistance at this point. This American made product shows its pride: seems are very straight and heavy duty, with flatlock seams. These are now discontinued I believe, but if you can find them, their price and material quality is tough to match. 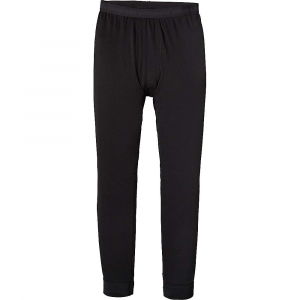 The Power Stretch Baselayer Bottoms has been discontinued. The Kenyon Power Stretch Baselayer Bottoms is not available from the stores we monitor. It was last seen February 6, 2019	at Sierra.